Dilute the dulce de leche with the evaporated milk. You can do this by heating the milk for 2 minutes in the microwave, or if you prefer on the stove over low heat, stirring occasionally so that you don’t form a layer of curd on the surface. Let cool to room temperature before mixing with the remaining ingredients. 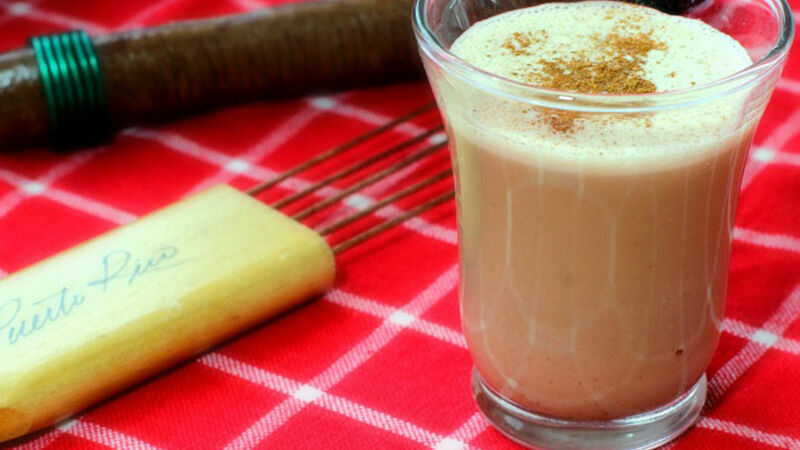 Using a blender, combine the coconut milk, coconut cream, cinnamon, ginger, evaporated milk and rum. Bottle your coquito or pour it into a pitcher. If you plan on drinking it the same day, let cool for at least 2 hours before serving. You can substitute ginger for nutmeg. You can also use caramel instead of dulce de leche. If you do, there's no need to dilute it. This recipe for coquito with dulce de leche is a sweet alternative for those who adore the traditional Puerto Rican coquito (our take on eggnog). And it tastes best when homemade! Whether it's for you or to give to friends and family, your coquito will be an added touch that shows the time and effort you've taken to prepare a gift with love. You can present it in a gift basket with nuts or fruit—a thoughtful and endearing way not to show up empty-handed to the party. I'm sure it will be a hot topic among your friends!